If you are new to the area after your visit to Salon Sashay Studio for your hair services be sure to check out these cities for fun, entertainment and attraction locations in New Jersey. A picturesque, widely photographed small town with a tree lined downtown filled with shops and restaurants and an attractive river with an old grist mill and 200 foot wide waterfall winding through it. This Scenic town and vicinity is popular with visitors looking for a day trip or weekend getaway. Located across the river from NYC. A safe city and a place with many good restaurants, pubs, attractions, festivals, and a world class view of the NYC skyline. 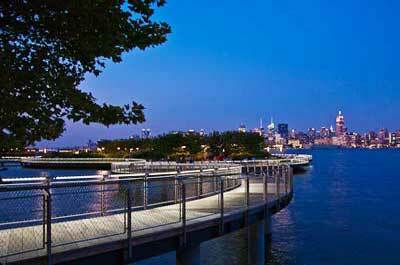 Great location to serve as a home base for tourists visiting NYC as a less expensive alternative to hotels in NYC. 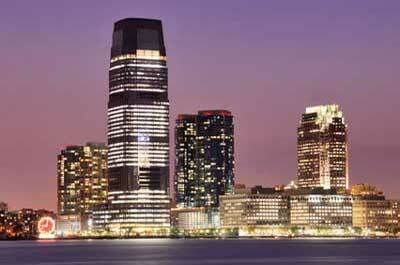 A city rich with attractions, entertainment, restaurants, and fascinating ethnic neighborhoods. Attractions include museums, a science learning center, and awesome harbor views overlooking the New York City Skyline, the Statue of Liberty, and Ellis Island. 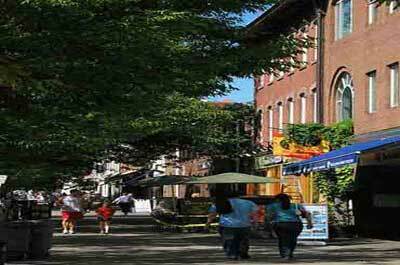 Montclair is a vibrant, charming hillside community with many old homes and a large variety of cultural attractions drawing artists and writers to its many art galleries, museums, boutique shops, and restaurants. It’s rich in history dating back to the Revolutionary War with high vantage points for tracking the routes taken by the British to the east. Morristown is rich with Revolutionary War history, cultural heritage, parks, recreation, and a large variety of restaurants, this is a great place for a day trip or weekend getaway. 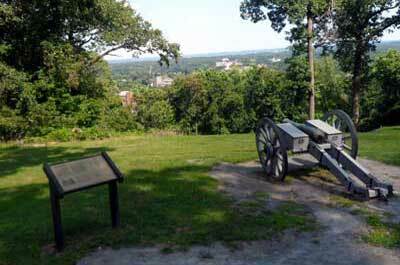 Popular attractions include Washington’s Headquarters, The Morris Museum,. Mayo Center for the Performing Arts, Fosterfields Living Historical Farm , and more. Today’s residents enjoy a comfortable suburban lifestyle with easy access to New York City and other areas of New Jersey. 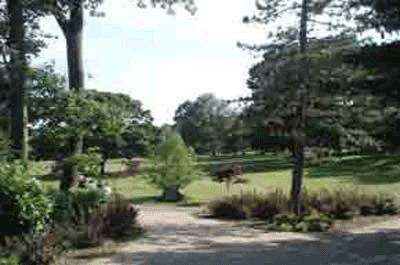 Riker Hill Complex (also referred to as Riker Hill Park) is a 204.68-acre (0.8283 km2) parkland located along the border of Livingston and Roseland. It comprises three parks, Riker Hill Art Park – a former Nike Missile control area site, Walter Kidde Dinosaur Park – a National Natural Landmark, and Becker Park which were acquired between 1969 to 1977. 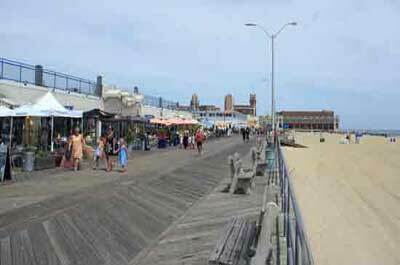 Asbury Park, once a world class beach resort, is back with renewed energy and has now become a must visit destination for Jersey Shore fans of music, good variety of restaurants, a nice beach and boardwalk. The center of activity is downtown along Cookman Avenue with many excellent restaurants, shops and art galleries, and along the boardwalk lined with restaurants and the Paramount Theater – Convention Hall. 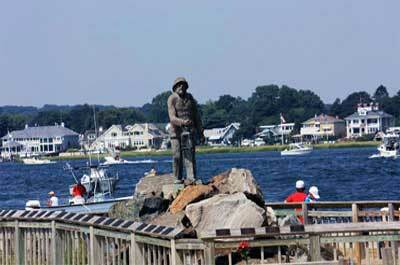 Bruce Springsteen introduced Freehold to America by his song “My Hometown” describing his thoughts about his hometown. 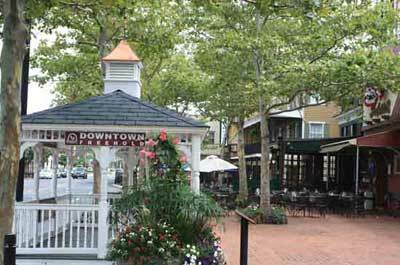 Today Freehold is a community with a revamped downtown that mixes the best of mom and pop establishments, fancy eateries, and Victorian houses. 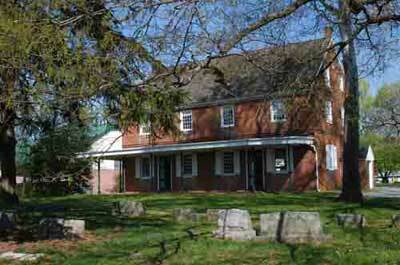 Freehold is one of the nation’s oldest cities enjoys a past rich in American Revolution History. A walking tour of the downtown area is a must. An historic town with plenty to do and see including antique shops, art galleries, specialty stores, bed and breakfasts, a brewery, and plenty of good restaurants. The curious visitor will find antique shops, art galleries, specialty stores, bed and breakfasts, a brewery and plenty of good restaurants. 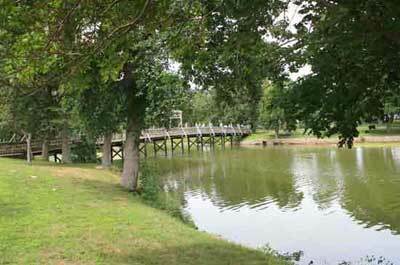 The more active visitor will try the canal tow path where bicyclists can enjoy a ride for people of all skill levels. New Brunswick, situated on the Raritan River, is a 5 square mile city and a vibrant hub of education, museums, art galleries, theatre, pubs, and restaurants. One of the few cities in New Jersey that you can live in without a car. The city runs free shuttle buses throughout the city, in addition to train and bus service provided by New Jersey Transit to/from New York City. 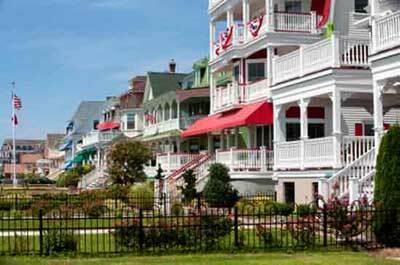 Ocean Grove is a charming New Jersey Shore town where recreation, history, and religion all prosper in God’s square mile. This Jersey Shore town is unique with its charming tree lined village, Victorian breakfast and breakfast inns, a beach with a rustic boardwalk, and a large, attractive historic wooden auditorium that provides an atmosphere and friendliness from a past era. 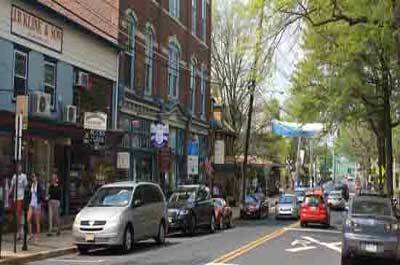 Princeton, home of the prestigious ivy league university, offers much more than the typical “ College Town”. It has a picturesque, vibrant downtown, with upscale shops, restaurants, businesses, theatre, and places of historical interest. 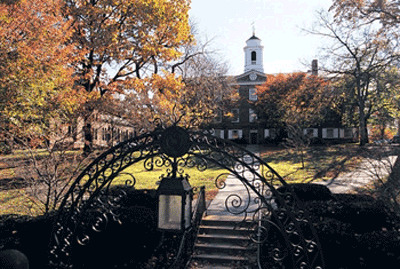 Located midway between Philadelphia and New York, it draws visitors from both cities who come to Princeton for its charm, educational facilities, historical interest, and entertainment activities. 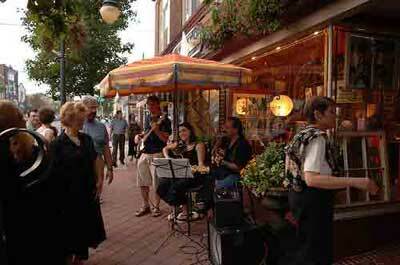 Red Bank is the Jersey Shore’s cultural, social and commercial destination. 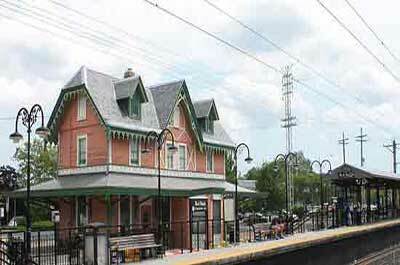 At only an hour’s ride from New York City, by car, train or bus, it’s a fabulous day or weekend trip! This beautiful waterfront town boasts of many gourmet shops, coffeehouses, cafes, specialty shops, restaurants, and a lively nightlife. 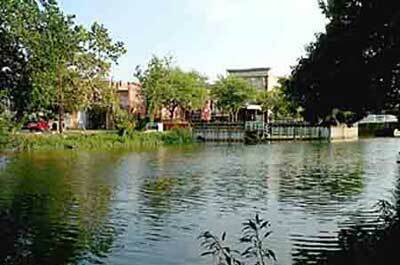 It is a charming town with beautiful brick sidewalks and Victorian street lamps. The entire town is very walk-able. Spring Lake, affectionately referred to as the “Irish Riviera”, is a small beach resort town with huge Victorian houses, manicured lawns, tree-lined streets, flower filled parks, and a well managed beach that’s never been corrupted by honky tonk. You can wander around this beach front community, even in peak summer season, and not incur crowds. 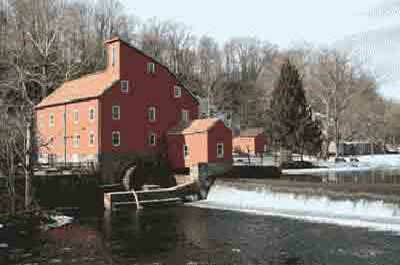 In the fall, the town reverts to its year-round population and becomes even more tranquil. This fun filled destination, famous for gambling and ritzy casinos, offers great entertainment, plenty activities, good restaurants, shopping, relaxing on the beach, and more. 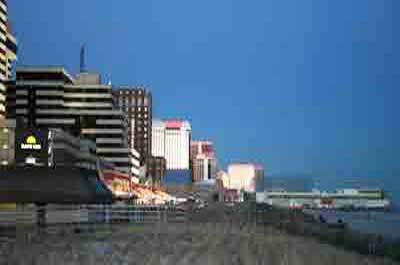 While casino gambling continues to be the main attraction, Atlantic City is becoming popular with the multi-night getaway tourists and less as a destination for day trippers who find the Philly, Poconos, and New York casinos more to their liking. A great place for family’s with kids who enjoy seeing a bit of New Jersey history and spending time in with them in the many city parks and zoo. Plan on a full day exploring the district and it’s attractive historic neighborhoods. There are 2,200 houses and buildings are listed on the National Register of Historic places with many buildings going back to the Colonial, Federalist, and Victorian era’s. 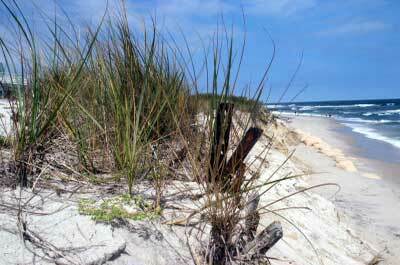 Cape May NJ is more than a charming summer beach resort destination. There is a special warmth about the town that pulls you back again an again. This also is more than a summer resort, the fall season is very popular with many theme weekends and the water is still warm enough to visit the beach. Not a beach enthusiast? There are many activities that are in full swing right up until New Years Day. Long Beach Island (LBI) encompasses the communities of Barnegat Light, Harvey Cedars, Surf City, Ship Bottom, and Long Beach Township, Loveladies, and North Beach. People come to LBI for its excellent beach, ocean, and bay attractions including 18 miles of great beaches, fishing, boating, and restaurants. Unlike some of the other popular Jersey Shore destinations, LBI does not have a board walk with honky tonk attractions. Millville is a revitalized south Jersey small town with historical interests primarily with the American glass making industry and it’s rich architectural collection of 19th and early 20th century buildings and homes. 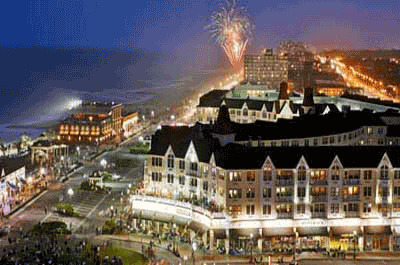 The City was founded in the early 1800’s, is less than an hour’s drive from Philadelphia, Atlantic City, and other Jersey Shore resort towns. It has a small town feeling with plenty of metro things to do. Mullica Hill is an historic village listed in the National Register of Historic Places and the New Jersey State Register of Historic Places. It’s history dates back to the 17th century when English and Irish Quakers built plantations in the region. 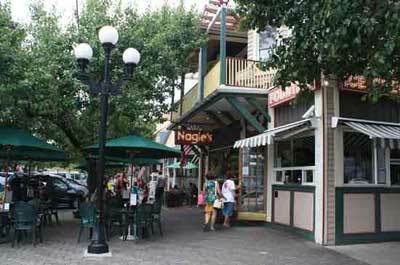 The village has an attractive Main Street boutique shopping area featuring antiques, jewelry, furniture, fine art, crafts, restaurants and coffee houses. Ocean City is a Jersey Shore beach resort that sets itself apart from other beach front towns in going all out to insure that its reputation as “ America’s Greatest Family Resort” is true to its motto. It’s heritage is deep rooted in Christian values. Alcohol sales are prohibited and there are no bars or nightclubs. The attractions along the boardwalk are controlled by the city to insure they are safe, secure, and provide wholesome family fun. 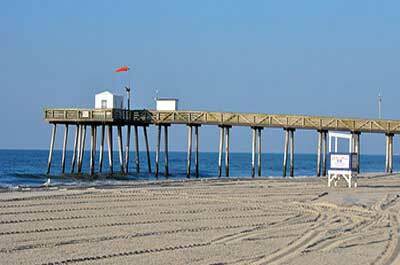 Point Pleasant is the ultimate Jersey Shore family destination, offering exciting activities for a day trip, a week end, or as a summer vacation destination. This small town on the Jersey shore is a popular vacation spot for North New Jersey and NYC tourists, or “benny’s” as the locals call them and for family oriented entertainment as well as for young adults enjoying late night dance clubs. Wildwood is a popular south Jersey beach destination for families looking for a reasonably priced summer vacation with plenty to do. This Jersey Shore treasure offers free, wide, white, powdery sandy beaches, and a 2 mile boardwalk with amusement piers, restaurants, and salt water taffy shops. 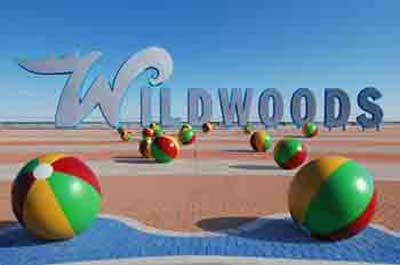 Wildwood is also popular with visitors who come for the “Doo Wop”, 50’s and 60’s themed architecture, music and history of that era.